Happy Friday! This week, we go behind-the-scenes with stone-mason-turned-photographer Erik Larson, who shows us just how handy Platypox Max can be — whether he is in front of cuddly little Fido or intimidating K-9s ready to pursue a target! Tell us about yourself and how you got into photography. My name is Erik Larson. I was a stone mason that built little novelties out of brick and stone. I sold a few of my novelties to a friend who’s a professional photographer, and she took pictures of the pieces that I sold her. After I saw the pictures that she took, I decided that I needed to do that for myself to help sell my work. That was two years ago. Today, I don’t have time to build the novelties anymore, because my photography has taken over all of my time. Where can we find you online? You can find me on my website, larsonimages.com, and I’m Osaki022 on Instagram and Erik Larson on Facebook. Tell us about your experiences with dog/pet/animal photography. Is there a story behind your dog pics? What inspired you to do these kinds of pictures? I’ve always been a huge dog lover. 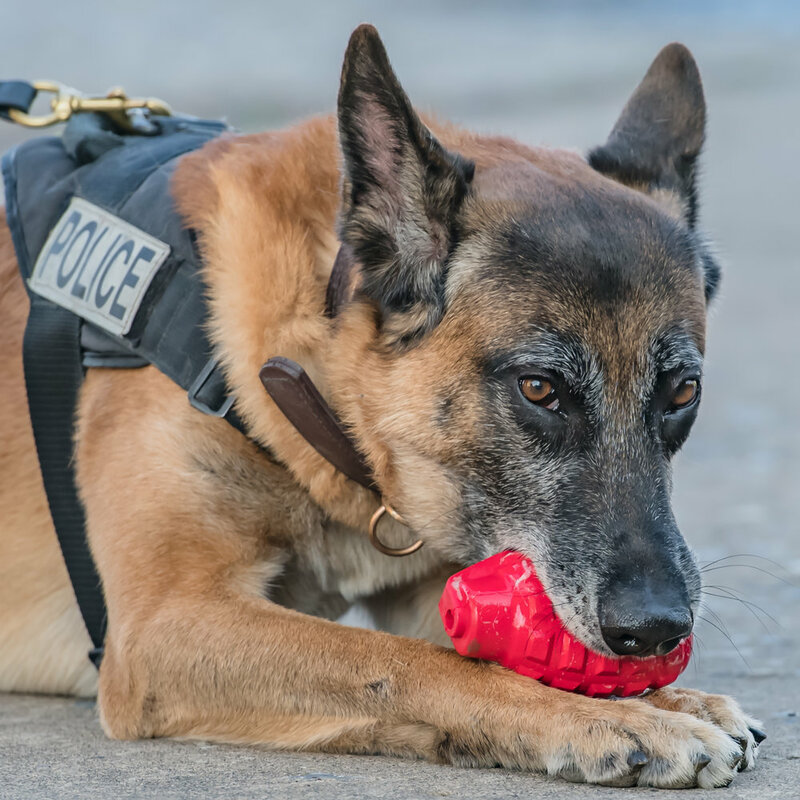 A few of my friends are K-9 officers, so I started taking pictures of their K-9s. As with most K-9 units, they’re underfunded, so I thought doing a fundraising calendar would be something that I could do to help them. 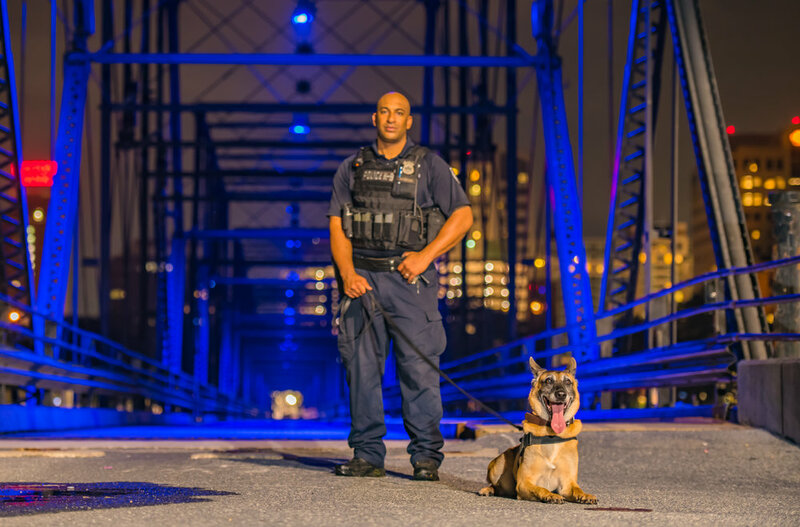 Since I’ve been shooting with the Harrisburg City K-9 unit, we’ve been featured on the cover of Police K-9 magazine and we’ve also been in K-9 Cop Magazine a few times as well. The fundraising calendar will be sold on my website starting the end of October or beginning of November. What is your normal gear setup for these kinds of pics? I shoot with 2 Nikon D750s and a D850, my four go-to lenses are 14-24 2.8, 24-70 2.8, 70-200 2.8 and 105 mm 1.4. I also ALWAYS have my Platypod Max with me. Biggest challenge of photographing dogs? I absolutely love photographing dog, so I don’t find it challenging at all. I’d be more inclined to say it’s quite rewarding. I learn something every time I shoot. The lesson is different every time. 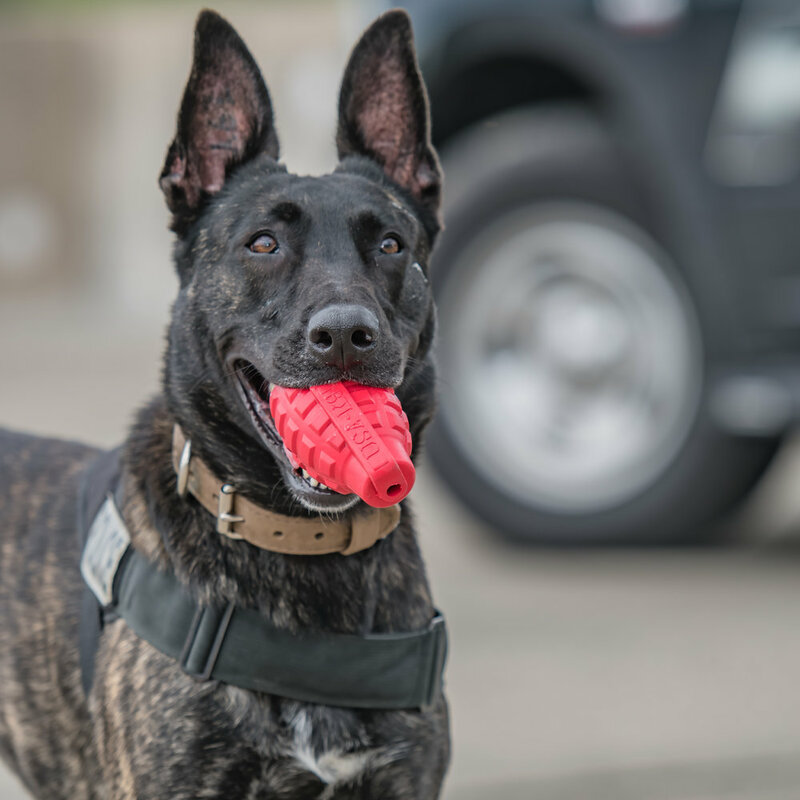 I’ve loved dogs my whole life, but every time I shoot with the K-9s, my love gets a little stronger. How does Platypod help you create these shots? Why do you use it? I love my Playtypod Max for its versatility. It helps me get low angles that I wouldn’t achieve with a normal tripod. I find myself using my Platypod Max all of the time. Are you working on any cool projects we should know about? 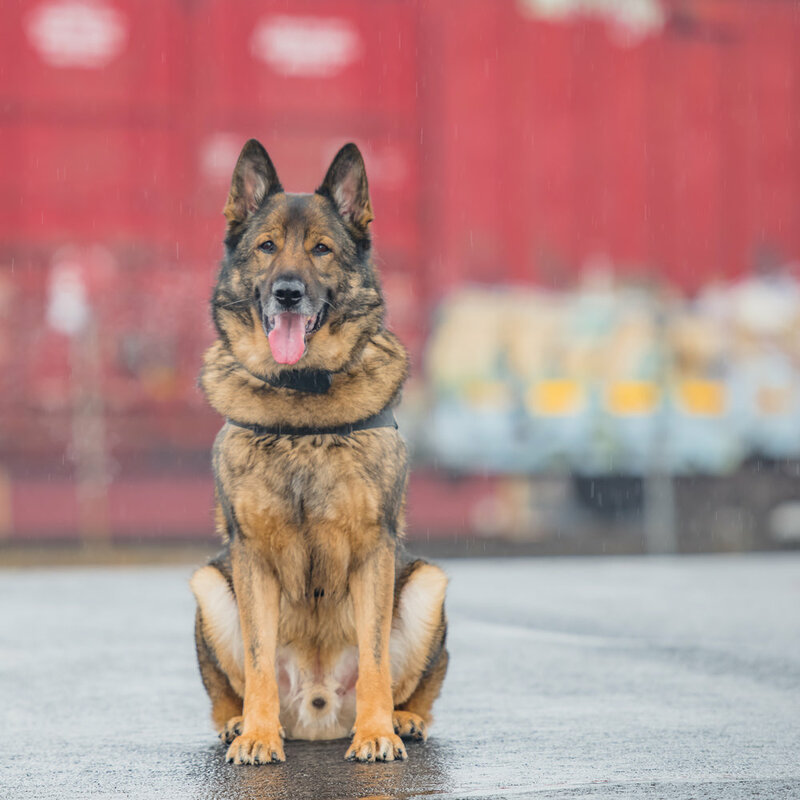 The fundraising calendar for the Harrisburg City K-9 Unit is the main project I am working on. I’ll also be releasing a cityscape and bridges calendar as well. Each Friday, we feature the work and story of our fans and followers on social media. We especially love to post stories of Platypod users and their experiences with the product. If you are interested in being featured, please email ajna@platypod.com. Is This Platypod Ultra One of the World's Most-Traveled Tripods?